In my continuing work with Masters of Cinema, my latest booklet is on William Wellman's glorious and Oscar winning epic Wings from 1927. It's a wonderful film, and a unique one for Wellman's career, who would go on to create some of the most bizarre and lovingly made B movies like Night Nurse, Westward the Women, Yellow Sky, and Lady of Burlesque. Wings is perhaps his most famous film, and thus the booklet does what it can to honor the film and Wellman. 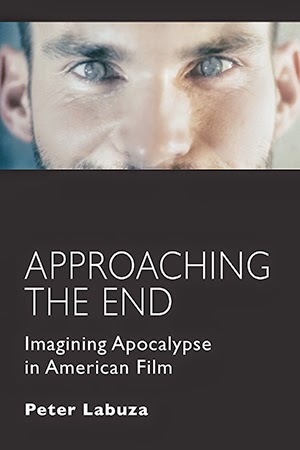 It includes a fantastic new text and image essay from Gina Telaroli entitled "This is the excellent foppery of the world," a 1978 interview with Wellman by Scott Eyman, and an excerpt from his own autobiography discussing his own relationship with the stuntmen he worked with. I did find a few more things through my research, and while some of them fall under certain copyright restrictions that I cannot reproduce here, this excerpt below falls under fair use and is worth your time: "Half Way To Heaven," by Albert Boswell, which is a 1930 profile of stuntmen published in The New Movie Magazine (and only ran for about five years). Thanks to the wonderful folks at Lantern, I was able to track this down. Alas, space kept it out of the booklet, but it's a good read for you before you buy the Blu-Ray! GETTING half way to heaven, cinematically, is hedged about with trickery and trepidation, tribulation and tragedy in order to achieve triumph. Little does the movie public comprehend to what lengths of daring the makers of flying pictures go. Many difficulties had to be overcome in the making of aerial shots and the recording of the accompanying dialogue in such films as "Flight" and "Wings." Much artifice had to be resorted to in order to make the tragic sequences seem real. Many times the fliers had to take their lives in their hands to achieve effects that were regarded as well-nigh impossible. THE inside workings of the silent drama and of the sound stage have been pretty thoroughly revealed. 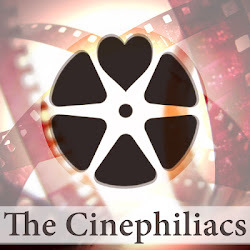 Much of the trickery has been worked into "screen confessions" by the producers themselves, probably for the want of better material, but many of the secrets of the shooting and "making" of air pictures are as jealously guarded as are football signals before a big game. The reason for this is the air-consciousness of the American public. Producers fear that, by destroying the illusion of the air films, they would imperil the growing interest in aviation and thus hamper the development of a major industry. However, it is impossible for them to keep everything secret. In "Wings" several hundred planes engage in what in aviation parlance is known as a "dog fight," but which registers on the screen all the vivid realism of aerial combat. Apparently there is a hard-fought battle between the ships, with the mists beneath them and a glimpse of the earth showing through occasionally. One hears the machine guns popping, but they emit only smoke bombs and not bullets; one sees the supposedly bullet-riddled planes falling to earth, but it is only a stunt flier doing the "falling leaf" or a tailspin, and wonders in spectacular effect can be accomplished with magician's fire, which engenders a lot of synthetic flame and smoke but does little real damage. And the falling aviator, who might be imagined to have become a victim of the machine-gun bullets, recovers his equilibrium as soon as he passes through the clouds, or artificial fog, and is out of the range of the camera. Of course, there are crashes-intentional cracking-up-and they are photographed as the climaxes for the battle scenes. The stunt fliers are careful not to crash from too great a height, but smash up their craft sufficiently to give the shot realism. In this way apparently extra-hazardous feats are performed with comparative safety. The planes used in such scenes usually have their markings prominently displayed, which aids in carrying out the illusion. The craft which does the tailspin or "falling leaf" stunt in an aerial battle may be worth $40,000, but the ship that is intentionally crashed probably wouldn't bring $200 at forced sale. Yet they bear identical markings and numbers. MANY of the real flying scenes are augmented with studio shots to build up the footage, and what is known as "stop-motion" or "double-negative" type of work is employed in some of the air films. Double exposures, double printing, the use of miniature planes in combination with the real actors and other devices are resorted to to create some of the thrilling scenes. In such sequences the actors and actresses, "who appear quite oblivious to Uie perils of aviation, never are in the slightest danger and their nonchalance is perfectly justified. The real trickery of the flying pictures consists of the substitution of stunt fliers for the screen stars. The risk of permitting the high-salaried actors and actresses to take to the air is too great. Should anything serious happen to them it would, of course, mean the premature end of the picture or costly delays. However, Buddy Rogers and Richard Arlen flew for a number of hours with a pilot in "Wings." The star gets all the credit-from the fans- for the crack-up in which he or she ostensibly is injured. Cameras cease their grinding long enough for the stunt man to clamber from the wreckage and the star to climb in with clothing torn and make-up blood streaming from various injuries. "Bully good smash-up, old top," the star says as he exchanges places with the real flier, who probably did suffer the injuries the star is to simulate. "Poor Buddy," moans the flapper, when the same scene is flashed upon the screen in What Cheer, Iowa, or Kokomo, Indiana. After crawling into the wrecked plane, the star is extricated while the cameras are again in action. In one such shot a certain star seemed to be rather comfortable in spite of the fact that the weight of a smashed plane appeared to be crushing her to earth. One or two of the stars have actually tried to make the dear public, or that part of it with which they come into personal contact, believe that they take all these extraordinary chances with death in order to provide entertainment for the fans. One of them went on the vaudeville stage and exhibited film flashes of the various stunts she had done in the air over a period of years, but every crack-up in the flashes, every change from airplane to airplane, every dangerous leap and dive was the work of a professional stunt flier. In this case the star was a woman, but the stunt flier who doubled for her was a man. in bomb-proof enclosures. All were at points so close to the doomed paper mache village that they, too, were in danger of demolition by either misplaced bombs or debris. Some of the shots of the bombing were made from the air with the aid of a specially designed camera rack which gave the lens full vision of the bombs from the time they left the planes until they reached their objective. The bombing planes were flying so low at the time of the explosions that the concussion actually jerked the ships. In all, eighteen cameras were employed in filming the battle and raiding scenes in "Wings." ONE of the most important accessories for the camera in air pictures is the cinemotor, developed for the purpose of steady shutter operation under conditions which would permit of only mediocre results if the hand crank were to be relied upon. Severe wind resistance encountered in planes traveling more than 100 miles per hour makes steady hand cranking almost impossible. Not only does the cinemotor operate the shutter under adverse conditions in the air, but it allows the camera to be placed in more exposed positions and also makes possible the use of both hands upon the control bar. But even with the camera perfected to the nth degree, there are often unforeseen incidents to spoil important scenes and cause the cameraman and players distraction. A fly compelled Director "Wild Bill" Wellman, whose slogan is "Make 'em move-fast," to retake one entire sequence of "Wings." The action called for the strafing· by an American plane of a German automobile bearing officers and traveling along a road at high speed. It was rehearsed once and then Wellman ordered his cameraman to grind away. On roared the automobile and down dived the ship, pumping make-believe lead into the car from an altitude of less than a hundred feet. The occupants of the car jumped, leaving the automobile to careen, roll completely over and finally stop in a ditch, a complete wreck. “Glorious,” shouted Director Wellman as he turned to start another scene. Five minutes later Perry approached him. "I'm sorry, but we'll have to do it over,"' Perry said. "The best shot we had was made from the ship," Perry went on, "but in reloading the magazine we found a fly crushed on the lens." A MOST remarkable shot was obtained by a "Wings" cameraman-parachute jumper floating to earth from an altitude of 6,000 feet. A tiny electrically driven camera obtained the film. "Red" Rogers, famed as a pilot but unknown in motion pictures, did the stunt. "Wild Bill" wanted a scene showing an American aviator mortally wounded and shot down in flames from 6,000 feet up. 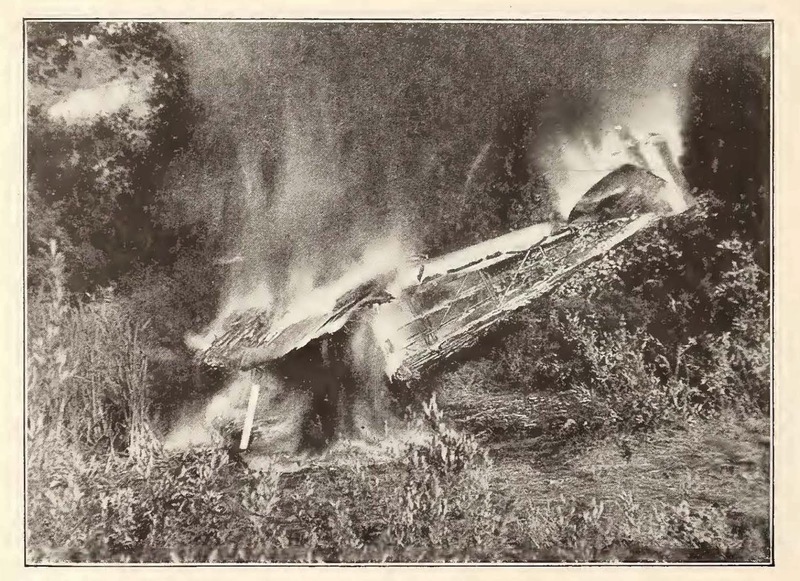 Rogers took his plane up above the clouds, the electrically driven camera fastened to the front of the cockpit, cut his flames and deliberately plunged the ship into a tailspin. 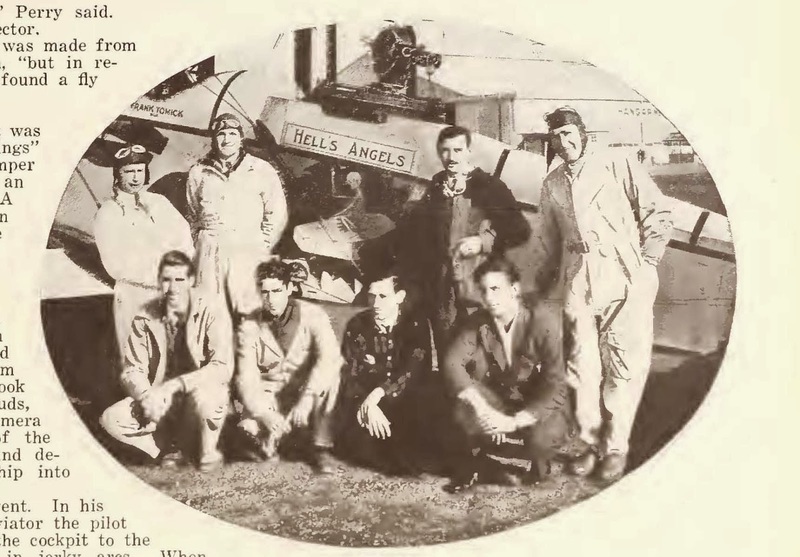 THE demand for realism in such pictres as "Flight," "Wings" and "Hell's Angels" writes real tragedy into the history of the movies and fills the memories of pilots and cameramen with adventure and thrills. AI ("Buddy") Williams and Paxton Deane, two of the crew of aerial photographers that shot "Wings," had the greatest thrill of their lives when they went up with Lieut. E. H. Robinson to picture a scene above the clouds and for more than half an hour were completely lost in a terrific sleet storm at an altitude of 11,000 feet. needed a background of great clouds for the sequence and these were missing when flying conditions were favorable. "After climbing steadily we encountered the first layer of clouds at about 4,500 feet. Upon getting above them we found the light insufficient to shoot the scene, so we proceeded to climb to the next layer which brought us to an altitude of 11,000 feet, the absolute ceiling of the ship. "Both of the ship's motors were very cold, the temperature at that altitude being somewhere in the vicinity of zero. While flying through the peak of the clouds one of the motors stopped and the ship began to go down. The motor picked up again almost immediately, however, and we flew around trying to pick our way out of the clouds. "Robinson finally realized it was futile to attempt to pick his way out, so he idled both motors and started down, only to fall into the heart of a cumulus storm-cloud in which violent convectional currents were at work. Soon our goggles were frozen to our faces and we were practically blinded. The camera, which was mounted on the nose of the ship not five feet distant, was but a dim shape. Not knowing whether we were right side up, upside down, in a tailspin or 'falling leaf' other than by feel, Robinson fought to keep control of the ship as we made our perilous descent. "Every few minutes we would pry the goggles from our eyes and peer at the altimeter through the haze and sleet. We had descended 9,000 feet but no land was in sight. Robinson called to us that if no land was sighted within another 1,000 feet we were going to jump. Imagine a couple of inexperienced men taking to the parachutes. The thought of it sent chills down my spine that were colder than the sleet on my nose. Filmland mourns for a time whenever there is a tragedy in the manufacture of entertainment, but it's all in a day's work. The making of flying pictures goes merrily on.